This past weekend, I attended beekeeping classes, given by master beekeeper Brian Campbell (Blessed Bee Apiaries). The course was interesting, informative and engaging. Brian is an excellent instructor. He’s exceedingly knowledgeable, has a gentle and respectful manner for his students and his charges (the bees), and he has a great sense of humour! A weekend well spent with theory and practice. 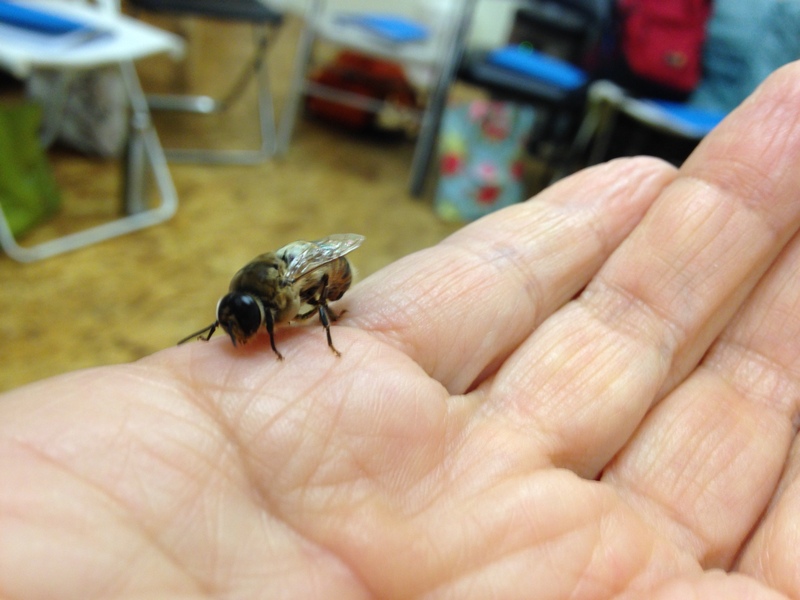 We still have the practicum to look forward to, more first hand experience on handling honeybees! We even got to witness a new drone bee emerge out of its cell. Very cool indeed. One of the most fascinating aspects of my work on bees is that I have become much more aware of the kinds of bees and other insects that appear in my garden. I’m on the lookout all the time and dash about with my camera in the hopes of capturing the little creatures at work. I must add that this awareness is also thanks to Madame Beespeaker, Lori Weidenhammer, who has widened my interests immensely with her passion for plants, for pollinators and for helping people understand the importance of maintaining and enhancing our natural environment. Here’s a busy honeybee, sunk deep in my pitiful-looking hellebore, searching for nectar. What a beauty! An orange-rumped (?) bumblebee queen digging in my pink pieris blossoms. Another bumblebee queen on my white pieris. Look at the color of the pollen this lovely honeybee is carrying on her back legs. She’s been foraging on my Buttercup Winter Hazel.